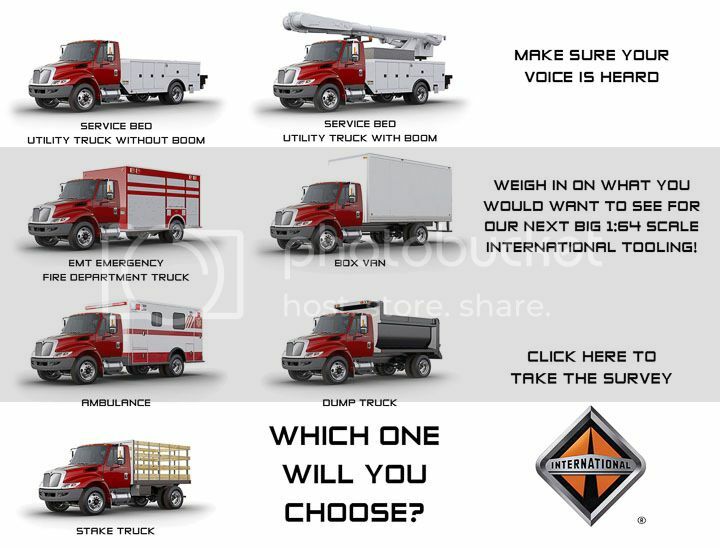 SURVEY - Weigh In On New 1:64 International Durastar 4400 Casting! Indianapolis, IN (August 2014) – We are looking at our options for a possible next International Durastar 4400 and want to know what new variation you would like! Click Here or the image below to take the survey now. For more information about GreenLight's up-coming releases or the other quality collectibles from GreenLight, visit www.greenlightcollectibles.com.